As a reminder, employees must now use CMS’s new online system for Benefits Choice. If you do not go online, your insurance coverage will remain the same. However, employees must re-enroll in flexible spending every year to continue the benefit. Below are instructions for registering and logging into MyBenefits Marketplace. We have been informed that the site may be down due to the large volume of State employees logging in at one time. The state’s vendor has chosen to not place a message on the website indicating when the site is not working. Instead, the employee will see that his/her login isn’t working. If this happens to you, please try again at a later time. If you continue to have login issues, please call the MyBenefits toll-free number at 844-251-1777. We recommend that you make your choices online as early in May as possible to avoid the high volume expected at the end of May. Go to MyBenefits at MyBenefits.illinois.gov and click Login (upper right of screen). Go to MyBenefits at MyBenefits.illinois.gov and click Login (upper right of screen) – must register first (follow instructions above) or call toll-free at 844-251-1777. Add/remove any dependents. Hit modify, if applicable. Make any changes to your plans. Reminder: You do not have to make changes to insurance plans if you want to keep everything the same. MCAP and DCAP (flexible spending account) totals must be entered for the annual amount. The maximum is $2,650 for MCAP and $5,000 for DCAP. The system should automatically re-adjust your total based on your pays per year. Once plan changes are made, hit next at the bottom right hand of the screen. Items that have been changed will be shown in blue font under “Personalize your benefits plan page,” section 3 “Finalize.“ Please note that if you re-enroll for MCAP or DCAP for the same amount, the change may not be reflected in blue. You will also see a warning code. This shows that the change is part of a Benefits Choice change. Once you are finished, click done. We suggest you print a copy of your confirmation page. Once you have fully processed your event, your check mark will turn green. Once you’ve made changes, you can go back into the Benefits Choice Enroll Now, Benefits Choice, and view that your Benefit Choice transaction is completed. Please note: if you go into a processed event and click modify, you will need to re-process the entire event or the transaction will not be completed. 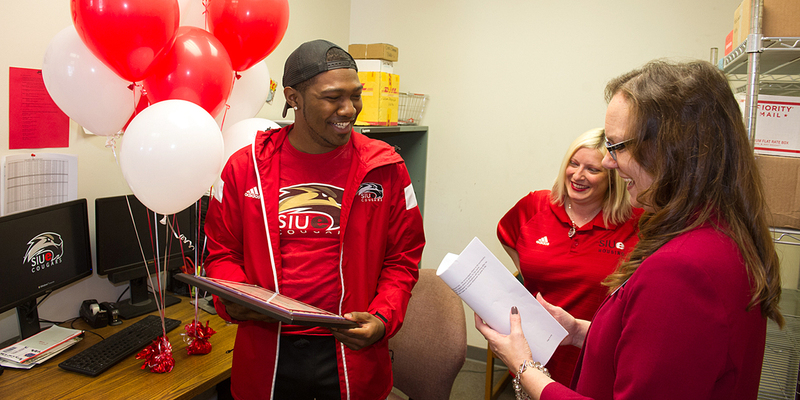 If you have any questions regarding MyBenefits, please visit our FAQ page: or email benefitshr@siue.edu.